The other day I e-mailed Jackie Weyrauch – the dialogue specialist for the first three Spyro games – to inquire as to whether she would like to give her two cents on the two part Spyro 2 article which I wrote back in May. Mrs. Weyrauch kindly directed me to two Insomniac Game top-dogs: Ryan Schneider (Marketing Director) and yes, none other than the C.E.O. 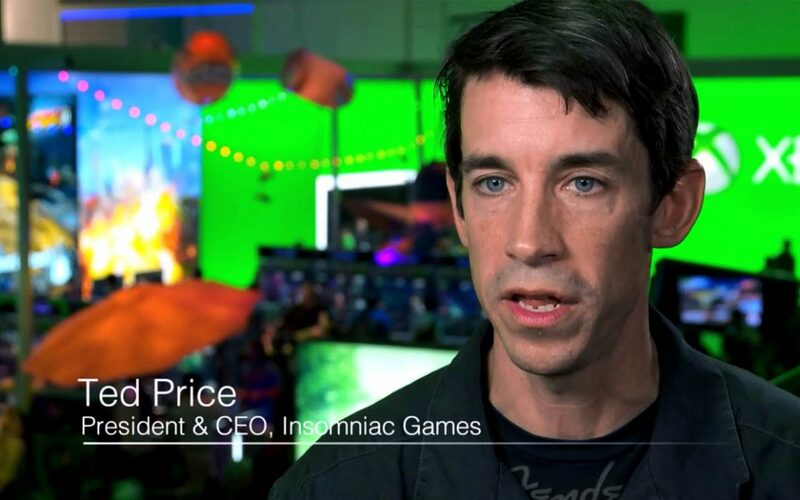 of Insomniac Games and Spyro the Dragon co-creator Ted Price! Thanks for passing on this email Jackie. Alessandro, I’m impressed with your sleuthing. I have fuzzy but fond memories of developing Spyro 2 with Jackie, Al & Brian Hastings, John Fiorito, Chad Dezern, Brian Allgeier, Mark Cerny, Michael John, Craig Stitt, Oliver Wade and several others. I remember coming off of Spyro 1 and hitting the ground running since we had given ourselves only a year to make the game. The biggest controversy we encountered was the name difference between the US version and the Australian/European version. Ripto’s Rage didn’t translate well into other languages so Gateway to Glimmer was the best and most translatable option. Speaking of names I do remember changing some of level names. We had “test” names for the levels early on but as we neared final we revisited several in an attempt to avoid overlap between places and, in some cases, to create more magical-sounding names. Anyway, thanks for such a great site and for keeping Spyro 2 alive! It’s safe to say that in the short history of our website, we may have already found a candidate for biggest highlight. Incredible! Interested in learning more secrets about Spyro 2? Click below to learn more about old/demo versions of the game, and how they shaped the final release.